There can be days when the heaviness of life just won’t seem to let up. There can be times when burdens leave you spent and wrung like a dirty little dish rag. And, sometimes it’s hard during these down times to find something to smile about; to find hope in the midst of darkness; to know that you are not forgotten in the middle of the mess. Our Lord Jesus Christ will not abandon you to deal with life on your own! He is your help in the neediest of times! He is your strength in the weakest of times! He is your source in the emptiest of times! He will not turn away from you! He went to the cross for you that He might ever be with you! He’s with you in the midst of it all to ease the turmoil you may be feeling. He is with you to console raging emotions and thoughts. He is with you to support you when nobody else will. He is with you to show you how the love of the Father is very real and active for you! He does this all through His abiding Spirit. His loving presence takes up residence on the inside of those who believe in Him. He is in there to fill any emptiness one may feel. He is there to bring healing to the hurt and damage inflicted by others. He is there to walk with you through all the ups and downs of this life, no matter how difficult it may appear right now! Did you see that word “never”? By absolutely no means will He not ever be with you where you are and in what you are going through! It can’t happen! It won’t happen! He loves you too much to leave you out there to deal with this world and this life on your own! With confidence, let your prayer be, “Jesus, I need you,” and His promise stands sure that He is with you where you are through the power of His indwelling Holy Spirit. 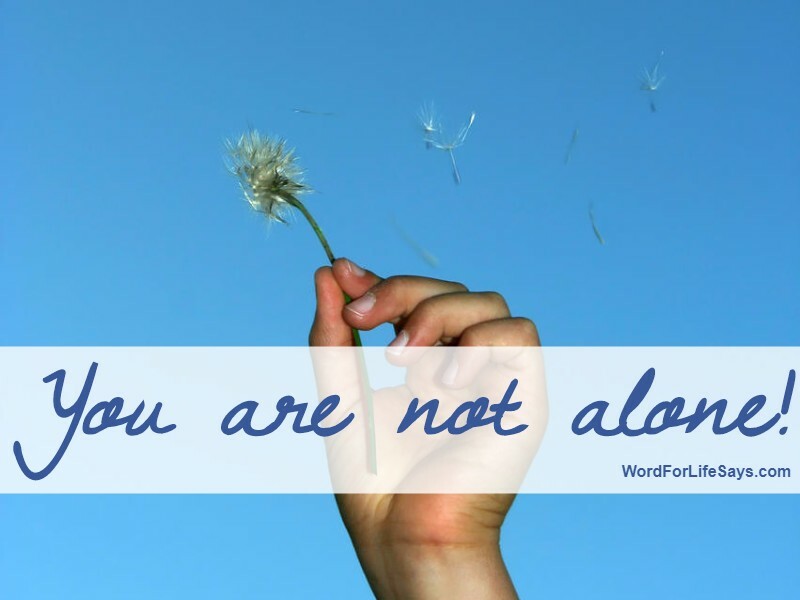 You are not fighting this alone! Every step of the way, He is there! “Be strong and of a good courage, fear not, nor be afraid of them: for the LORD thy God, he it is that doth go with thee; he will not fail thee, nor forsake thee,” Deuteronomy 31:6.